Here’s another album review by Tal and you can of course read more of her writings on her personal blog In My Winter Castle. I’ll keep this short and let you get right into it. 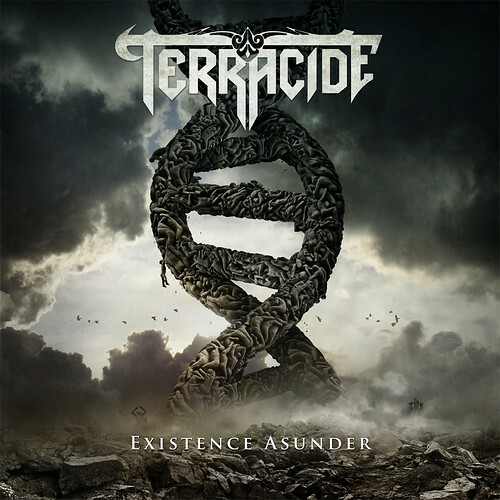 It’s not too easy to find an epic melodic metal band that’s local to the DC area, so the debut full-length Existence Asunder from Washington, DC’s Terracide is a welcome addition. It’s an extravaganza of melodic guitar, alternating between aggressive melodeath riffs and high-flying power metal epicness, with a few proggy melodies thrown in for good measure. The album also brings more death metal thunder than their EP, Primordium, would have led one to expect. As for vocals, Terracide mainman Daniel Tidwell’s voice ranges from a low growl, to a harsh shriek, to harsh singing, to high clean vocals. To further muddy the waters, the album even forays into metalcore territory, with a touch of angst in some of the clean choruses and even a few breakdowns – but I can forgive them since it doesn’t sound out of place or detract from the melodic punch of the album. Who doesn’t mix half a dozen different genres these days anyway? My favorite track is probably “Your Heaven’s Falling.” It’s actually one of the less melodic songs on the album, but it’s definitely the most headbangable. It starts off fast and thundering, gets really groovy for the chorus, and then revs up to circle-pit pace again in the second verse. Some other standout heavy tracks are “Halo Delusion,” with its epic melodic chorus anchored by rumbling growls, and “Stars Align” with its speedy melodic lead over very headbangable bass thunder. The more aggressive songs on the album put me very much in mind of Slaughter of the Soul era At The Gates, with their furious pace, the epic feel of their raging, melodic riffs, and the driving heaviness of their slower parts. Other songs go more straightforwardly in an epic direction, notably “When Roses Bleed” and “Installation 04 (September 2552).” These songs include harsh vocals, but besides that they have more of a galloping NWOBHM or power metal sound even in their more forceful parts. The high, clean choruses, such as in “Installation 04,” certainly have a power metal flair, as do a few of the more flamboyant solos, such as two minutes into “Feed the Flame.” Another nice touch is the melancholy yet beautiful piano intro to “When Roses Bleed,” composed and played by guest musician Yoko Mada. It lasts for one third of the song and is so lovely that it brings tears to my eyes; it contrasts strongly with the charging energy when the speedy metal part of the song gets started. 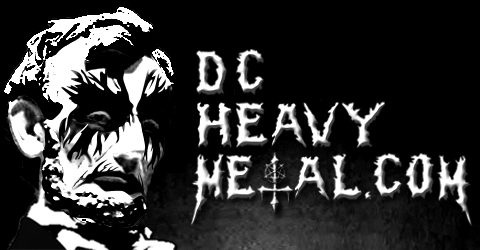 The epic, power metally parts of the album tend to be songs from the band’s EP, such as “Installation 04,” and parts of “Mirrorborn” and “Forge of Empty Souls.” The songs that are new on this album have a much stronger death metal feel, with a Gothenburg sound in particular. I wonder what precipitated this change, though I for one can appreciate both styles. I sure wouldn’t mind if they continued to mix these sounds, as long as they keep dazzling us with melodic guitars, whether epic or thundering. I’m looking forward to hearing what this band will do next, and I’m excited to see how their sound and career will develop.